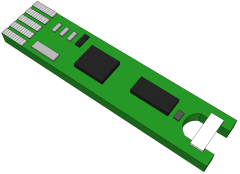 Innovative Sensor Technology is a world-class manufacturer of thin-film platinum and nickel RTD temperature sensors, capacitive humidity sensors, mass flow sensors, conductivity sensors and biosensors at the component level. With our state-of-the-art manufacturing technology, we offer both standard and custom sensors to satisfy various applications. Our sensors cover requirements for system integrators in the process control, building automation, test & measurement, medical, automotive, and appliance industries. IST produces three types of thin film measurement technology: RTD temperature sensors, capacitive relative humidity sensors, and mass flow sensors. Manufactured at the component level, these elements are available with a diverse range of standard and custom features. Our temperature sensors are offered in platinum and nickel with customer specified size, TCR value, extension type, and nominal resistance. 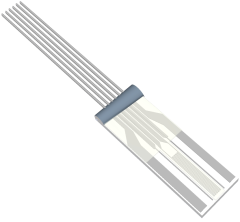 Our humidity sensor product line features excellent stability and linearity, rapid response times, high chemical resistance, and temperature compensation. Humidity sensors are available in multiple operating temperature ranges with different base capacitances. Our flow sensors are applicable in both gas and partially in liquids. They are able to measure extremely low and high flow rates, indicate flow direction, are suitable for level and bubble detection and come with optional housings to facilitate assembly. IST AG is certified in accordance with ISO 9001:2015 / ISO 14001:2015 and uses respective quality management systems and procedures. The quality management procedures are regularly audited, revised, and expanded, as necessary, in order to keep up with the growth of the company. This ensures that we can guarantee stable products at highest quality level fulfilling even most stringent requirements for unparalleled reliability, customer oriented service, and continuous innovation. To us, this quality policy is of strategic importance: it thus comprises the basic principle of all our day by day business and activities.